Making a film based on a true story is pretty tricky. Even if there is an effort to make sure all of the facts are represented correctly the movie can fail because the story itself isn’t entertaining enough. With this in mind, I was hoping White Boy Rick would prove to be a tale that is actually worth translating to film. Luckily, everything about White Boy Rick is fascinating. White Boy Rick is the story of Richard Wershe Jr.’s life as a teenager. He grew up poor in Detroit where his father Richard Wershe Sr. sold guns to keep food on the table. Rick decided to take some of these guns to the big time drug dealer in the area, and in the process found a way in with their crew. Soon after, Rick was confronted by the FBI, who coerced him into being an informant by threatening prison time for his father. Now he has to learn how to maneuver as an informant without anyone finding out. I was really surprised at how invested I was in this film. This is mainly because it takes a completely different approach from what I was expecting. Despite a lot of the story revolving around Rick selling drugs, at its core White Boy Rick is a story about family. There’s something so real about people doing bad things for good reasons. Rick’s dad sells guns to shady individuals because he wants to provide for his family. Rick eventually sells drugs so that his family can have a better life and not have to worry about money so much. The narrative also paints the FBI as complete jerks. By the end of the movie they do a lot of underhanded things and suffer nothing for it. It’s frustrating to watch it play out because what they’re really doing is manipulating a 14-year-old boy and putting his life in danger. While they might not be the actual cause of the events, they definitely contribute to it and make it worse. The two main characters you need to know about are Rick and his father. Rick is a quiet, street-smart teenager who quickly understands the high stakes situation in which he finds himself. I love that there’s an attempt to make him a quieter character with some actual grit; this makes his transition into the life of drug dealing a bit easier to understand, even though he doesn’t fit in with that crowd at first. It’s also clear that he has a good relationship with his family. His sister is a junkie that moved out of the house, so part of his motivation for selling drugs is to make enough money so that she can come home and get better. This makes Rick feel like a real person instead of a cookie cutter archetype. Rick’s father Rick Sr. is my favorite character in the movie. His motivation is never selfish. Everything he does is to provide for his children. He’s not perfect at all, but he still tries to be the best parent he can be. 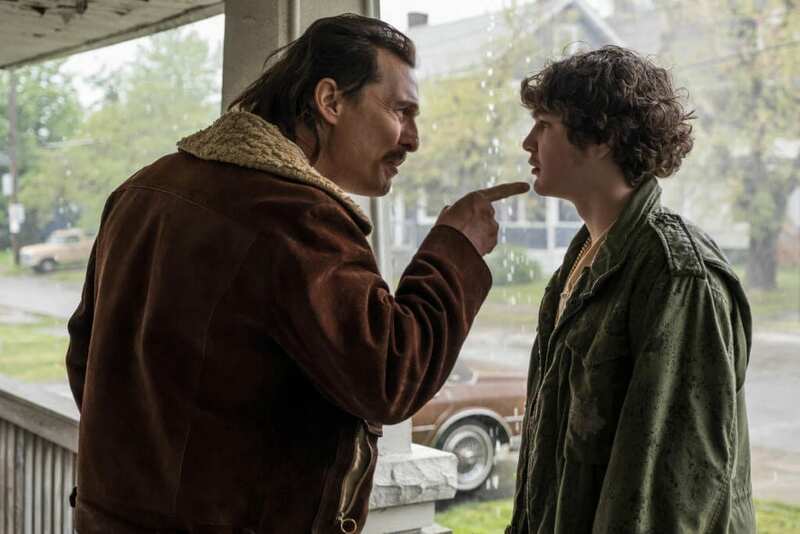 There’s a moment in White Boy Rick where he finds out that Rick is working with the FBI and confronts him about it. Rick tells him that they would’ve thrown him in prison for life if he didn’t agree and Rick Sr. quickly replies that he should’ve just let them do it. I don’t think that would’ve been the best decision, but it’s clear that Rick Sr. is willing to do whatever it takes to keep his children safe. He’s the emotional core of the movie and makes the theme of family resonate so well. The cast also does a pretty good job bringing these characters to life. I have to give a lot of credit to Richie Merritt, who plays Rick. He’s a first-time actor, and while he isn’t perfect, I quite enjoyed his performance. He has a good grip on who his character is and only really struggles in a few scenes. Matthew McConaughey as Rick Sr. is absolutely brilliant. He’s so good that at times he makes everyone else look bad in comparison. My favorite scene is one with no dialogue: Rick Sr. is sitting in his car with the intention of doing something horrible. As he sits there, you can see on his face exactly what he’s thinking. He knows that this isn’t something he should be doing, but he feels so strongly that he has to. The inner conflict brings tears to his eyes because he knows he can’t do it and he feels ashamed because of it. It’s a beautiful scene that really highlights who he is as a character. The supporting cast is also effective. It’s awesome seeing RJ Cyler playing one of the members of Rick’s crew. His comedic timing is on point whenever his character needs to throw out a joke. Rappers YG and Danny Brown both make appearances in the movie as well. YG is another member of the crew, and while he doesn’t get many lines, he does well enough with what he’s got. Danny Brown has a hilarious cameo that had me rolling in my chair laughing. Bel Powley plays Rick’s sister Dawn, and she’s intentionally awkward. I didn’t know what to think of her at the beginning of the film, but she definitely grew on me. 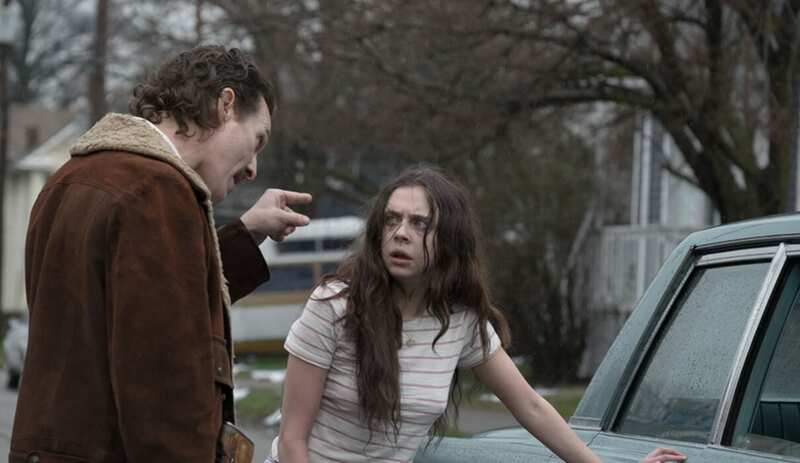 I enjoyed how White Boy Rick is directed, but it does have some issues. The movie is shot beautifully, with a couple of shots that really pop. The time period and the needed grit to make this movie come to life are both done extremely well. I also like that they decided to go all in on making this a family film. It helps establish the tone of the film and culminates in an emotional gut punch of a final scene between Rick and his dad. I just wish that the movie didn’t feel rushed. White Boy Rick tries to cover four years of Rick’s life in less than two hours. There are subplots that never get a chance to really matter. Certain conflicts that I found to be extremely compelling get resolved off-screen or with a quick clip. It’s a wasted opportunity because there are so many fascinating aspects of this story. I wish that they would’ve added an extra ten to fifteen minutes so certain situations could’ve gotten the attention they deserved. White Boy Rick is an enjoyable movie with way more positives than negatives. The story is fascinating, and one that really should be told. Matthew McConaughey gives a performance that’s worth the price of admission alone. There are some pacing issues and questionable decisions with the screenplay, but they aren’t deal breakers. If you were already curious about the movie, then I recommend giving it a shot. 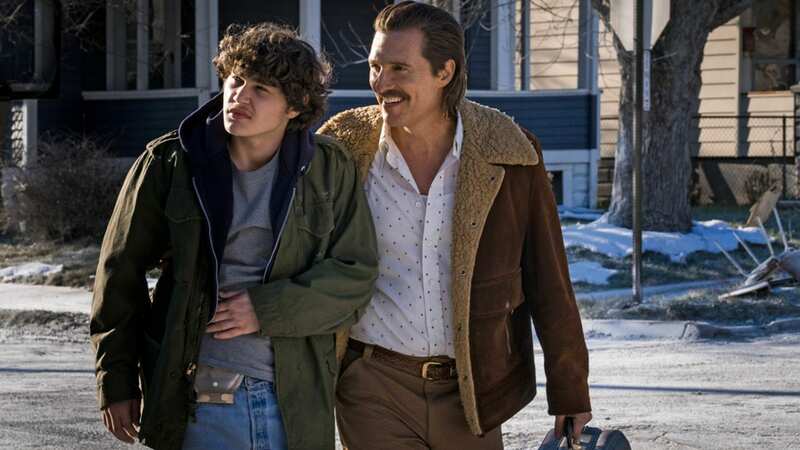 Led by an impressive performance from Matthew McConaughey, White Boy Rick is a surprisingly charming family drama that entertains from start to finish.